I was recently in a meeting with a cosmetic dermatologist when she asked me a blunt question: Was there anything about my skin or face that I didn’t like? Hesitating, I eventually confessed my insecurities regarding my top lip. While it’s not completely nonexistent, it’s on the small side—and it feels as insubstantial as ever in this era of pillowy Hadid pouts. “I’ve always wanted a little more oomph,” I admitted. And yet, there’s one little asterisk to this fearlessness: I’m willing to try just about anything at least once, but I majorly hesitate at invasive procedures or injections. In truth, they ultimately don’t align with my personal MO: I try to keep everything I put on and in my body as natural and synthetic-free as possible. But the temptation is still there—especially when it comes to my lips. Derma-rolling definitely helps, but it doesn’t quite deliver the dramatic results I’m looking for. And, in my experience, most of the topical lip-plumping products on the market are lackluster at best. Sure, they tingle for a few seconds, and I might see a little swelling for several minutes afterward. But an hour later? Nada. Back to my lip liner. Is it so much to ask that a little tube of gloss or serum mimic the results of hundreds of dollars in injections? Yes. Yes, it is. And I had all but given up hope on my pipe dream when a little vial made its way onto my desk. There it was, that claim again: This serum mimicked the results of injections. I scoped out the ingredient label and was immediately pleased with the array of natural components including hyaluronic acid, Inca inchi oil, and sesame. The blend would supposedly boost my mouth’s circulation, darkening the color and sending my collagen production into overdrive—instantly. Thus, hoping for the best but admittedly expecting nothing, I dabbed on a few drops. Unable to contain myself any longer, I reached for a mirror… and didn’t recognize the puffed-up pout I saw in the reflection. The label hadn’t lied; my lips were darker and far more swollen than they had been mere seconds before. As I passed along the vial to my eager co-workers, I continued to observe my reflection. Any extra redness disappeared after another minute went by, but a natural-looking flush and the puffiness remained. Perhaps the most notable aspect of it all is that those results remained for several hours afterward. The verdict? While getting the actual results of injections remains a fantasy, this topical solution is as close as it gets—so close, in fact, that it’s starting to feel like less of a fantasy, and on the brink of reality. 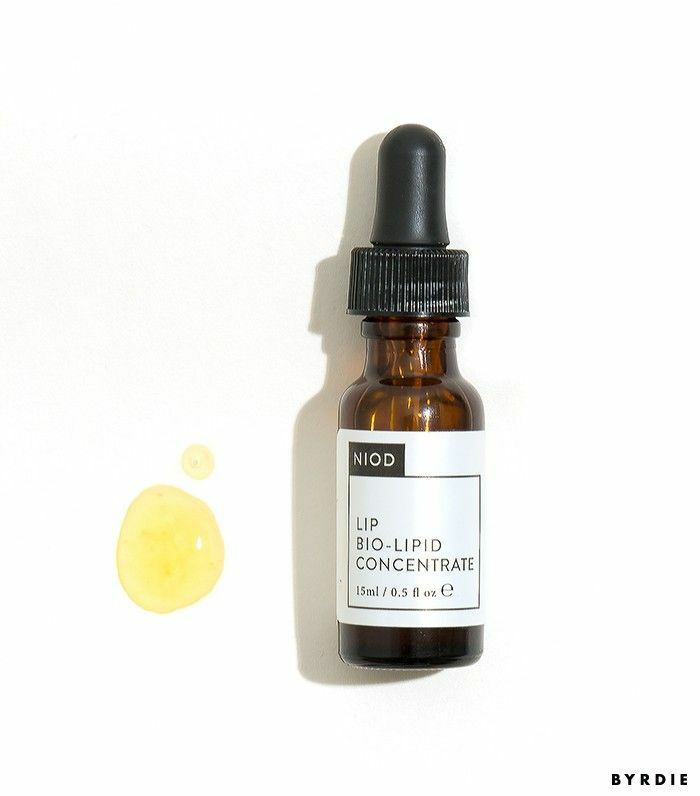 And for the record, I’m not alone in thinking this: Since that fateful day when I first saw my top lip materialize in real time, I’ve spotted those little NIOD vials on many of my colleague’s desks. Want to see my results? Watch the serum in action (along with two other great lip products) in the video below. Want to fake a thicker pout with makeup? Lip contouring is the foolproof technique you need to know. This post was originally published on August 26, 2016, and has been updated.